It's fun to break away from the normal pencils or pens and play with markers and crayons once in a while! New mediums inspire new designs. That's why I like to experiment! Hi Elise. I would just like to say I like your blog and your work. I lost you for a few months because my hard disk broke (new hard disk installed) and I couldn't for the life of me remember the blogs name. I found you again through Tangled Happy. Ha ha it says the comment was left by Leo. It wasn't before you get a fright. It's Katy. Like I've said before, I'm so glad you have your art to do when it's nasty outside and you don't feel well. Your sketches are wonderful and they look like the perfect way to cozy up and relax . . . and get your mind off not feeling well. I hope you'll be feeling better very soon. It's so nice of you to share this. 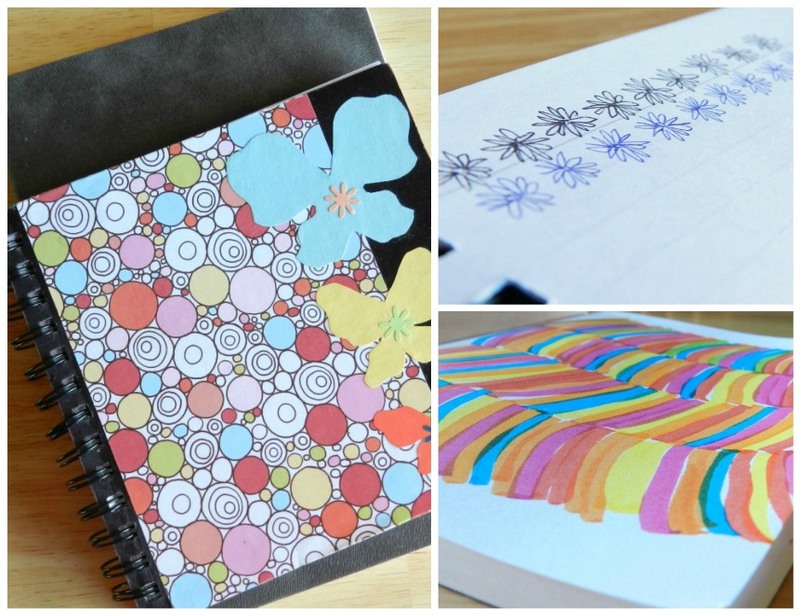 It's always nice to see how people use their sketchbooks. Thanks so much for linking up your awesome project to Take-A-_Look Tuesday - and look, I pinned and featured it today! I love your sketches, they're so beautiful!